The northern emirate of Sharjah will be hosting the first platform on architecture and urbanism in the Middle East, North Africa and South Asia (Menasa) region, thus continuing its cultural engagement expansion in the UAE. 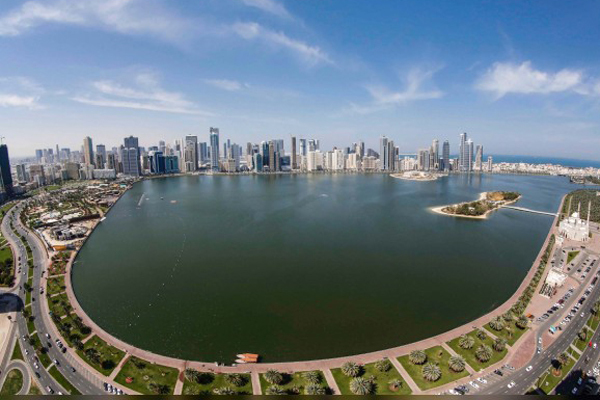 Founded by Sheikh Khalid Al Qasimi, chairman of the Sharjah Urban Planning Council, the Sharjah Architecture Triennial aims to stimulate a debate on regional built environment by reframing ongoing conversations from a regional perspective. Taking place in the UAE and engaging with regional and international discourse, the first edition commences in November 2019. The Sharjah Architecture Triennial is holding its first public programme, a panel discussion entitled "Shifting Morphology of Gulf Cities," on April 7 at Maraya Art Centre in Al Qasba, Sharjah. This programme is organised in partnership with the College of Architecture, Art and Design at the American University of Sharjah (CAAD at AUS) and Sharjah Directorate of Town Planning and Survey (SDTPS). This first programme represents the Triennial’s mission to invite critical dialogue amongst a cross-section of audiences including architectural practitioners, scholars, students, as well as government bodies and the general public. "Shifting Morphology of Gulf Cities" explores the effects of Khaleeji populations movement to rapidly growing modern cities and away from the dense coastal settlements where their social and cultural identities were rooted. The programme opens with a conversation between Khalid Bin Butti Al Muhairi, chairman of SDTPS, and Maysa Sabah, urban planner, housing specialist and advisor to the Affordable Housing Institute. The panelists will be joined by speakers Bahraini architect Ali Karimi, Kuwaiti architect Hamed Bukhamseen, and associate professor in CAAD at AUS Rafael Pizarro. Varkii Pallathucheril, Professor and Dean of CAAD at AUS will moderate. Sheikh Khalid said: "This is a crucial moment in the understanding and development of architecture and urban planning of the Menasa region. The regional urban landscape is evolving at a tremendous speed and impacting how urban dwellers interact amongst themselves."